The second ever Rubbish Olympics did not disappoint at Port Eliot this year. Compered by Benet Brandreth and manned and womanned by Jenny Dyson [Mrs Rubbish], George Ryan, Jessica Pemberton, Rowan Somerville, Etta Bradley, Kate McCreery and Kati Swinton, the heats for this year included Human Dressage, Running Man race, Zoolander musical statues, Throw the disco [this was very dangerous and shall never be repeated, one child was nearly knocked unconscious by a rogue record spinning very fast across the skies and bopping him sharply on his forehead], Egg and Spoon race without eggs or spoons [contestants had to improvise as either egg, or spoon], plus our famous cartwheel contest. The point of the rubbish olympics is to play a few silly games, have a load of fun and make total twits of ourselves as a group. We feel all the criteria for throwing the rubbish olympics was fully adhered to. 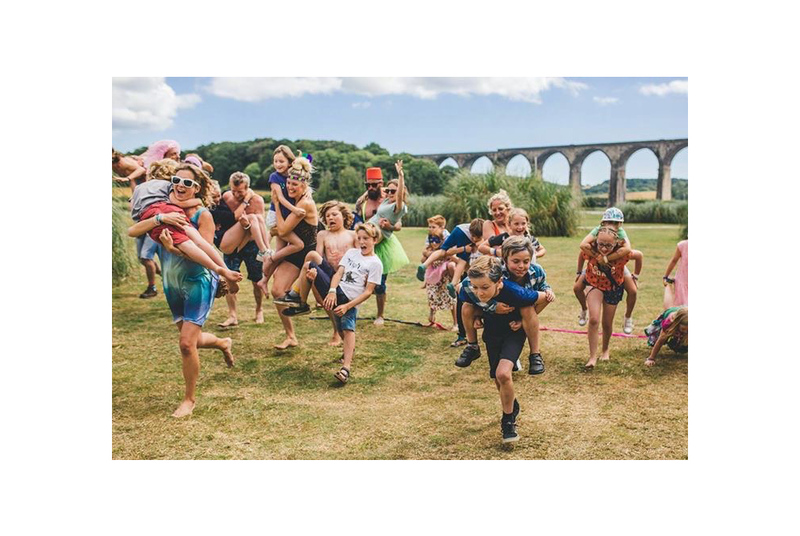 So much so, we’ll be back between the official olympic years with more sports day fun, so roll up and get your tickets NOW for Port Eliot 2017! We are also available for birthdays, weddings and bah mitzvahs… email hello@pencilagency.com… Congrats to all who took part and one their rosettes… all v well deserved and let’s face it, everybody was BEST IN SHOW!!!!! !